This guide is a starting point for research on international and foreign tax law research. International tax law governs the taxation of income generated by an individual or a business enterprises outside of its home jurisdiction. This research guide focuses on U.S. international tax law and practice. It also covers bilateral tax treaties, foreign tax law (enacted in jurisdictions outside the U.S.), and comparative tax law research across multiple jurisdictions. U.S. international tax law; U.S. tax treaties; BNA Foreign Income Portfolios (guides to foreign tax law and transfer pricing for select jurisdictions); comparative tools; news and practitioner-oriented journals. Treatises & other secondary sources on U.S. international tax law; U.S. tax treaties; foreign tax law in translation. U.S. international tax law; U.S. tax treaties; guides to business tax law for select foreign jurisdictions. Tax treaties (multiple jurisdictions); summaries of foreign tax law; foreign tax law in translation; case law (multiple jurisdictions); e-books and journal articles; comparative tools. 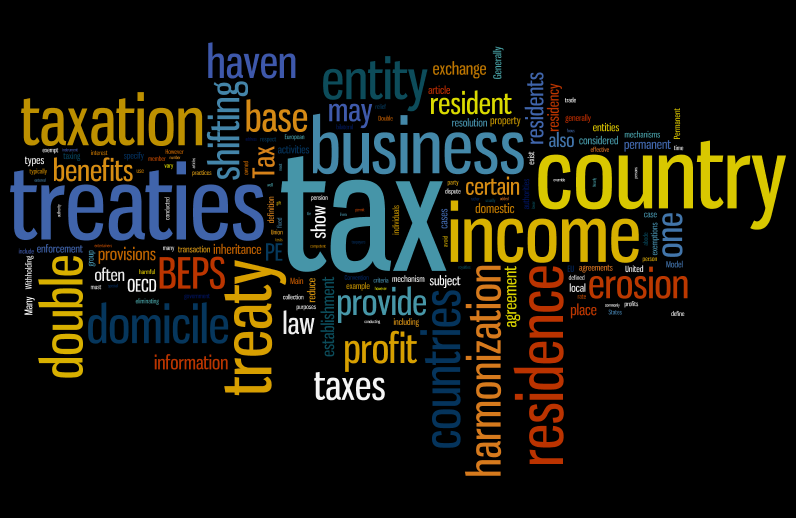 Tax treaties (multiple jurisdictions); summaries of foreign tax law; case law; Tax Notes & Tax Notes International (commentary, analysis, and news). ** Note: First-time users must register and create an individual account while on campus within the Georgetown Law Center's IP range. Content is accessible off-campus after the initial registration. If you need assistance with international and foreign tax law research, visit the Research Help page of the Georgetown University Law Library's website. Or contact the Law Library's International and Foreign Law Department by phone (202-662-4195) or by email (lawintlref@georgetown.edu). Georgetown Law Center students may schedule a one-on-one research consultation with a librarian. For guidance in researching topics related to international and comparative tax law, consult the following Georgetown Law Library research guides: Customs Law Research (U.S.); Customs Law Research (International); Foreign and Comparative Law Research; Treaty Research; U.S. Federal Tax Research. Questions? Need Help? Contact the International & Foreign Law Dept.